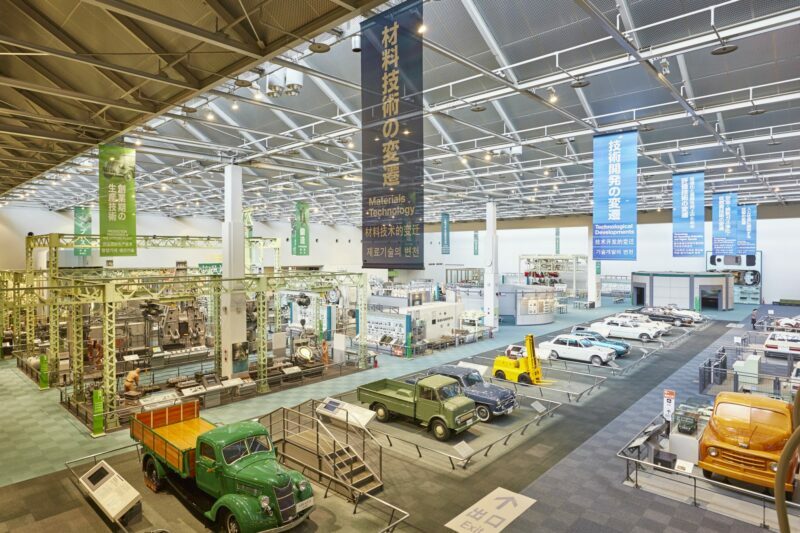 Industrial development from the past to the future showcases the “monozukuri” spirit of Japan—Japan's dedication to high quality products and to innovation, and its imagination for a better and brighter future. Being one of the key players world's market, Japan prides itself with vibrant and efficient manufacturing industries. It was manufacturing that helped Japan pull throught the difficult period following WWII. Now, being in a dominant position within the world marketplace, Japan dedicates much effort and resources in exploring advanced science and technology for future generations. Japan is a country with a vibrant and energetic manufacturing industry. The country’s “monozukuri,” literaly “making of things” in Japanese, is the spirit and driving force behind many manufacturing achievements in Japan. The sincere and serious attitude, the technical power and know how, and the pursuit of perfection in product manufacturing are what makes goods made in Japan so popular around the world. Be it vehicles, home appliances, or musical instruments, if you want something of high quality, products “made in Japan” are defitnitely the ones you want. Come to Japan and get a glimpse of the manufacturing secrets and the spirit behind these high quality products! 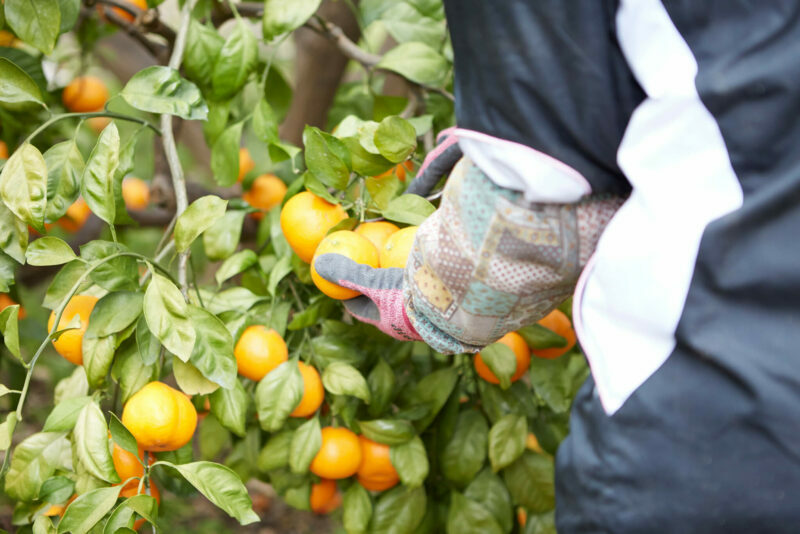 Food production and food safety are things that Japanese take particular pride in. Once a predominantly agricultural society, Japan still values food quality and food safety very much. Farmers sell only products that they are proud of, and at the same time comprehensive and stringent protocols and laws regulate how foods are made, processed, tranported, stored and sold. 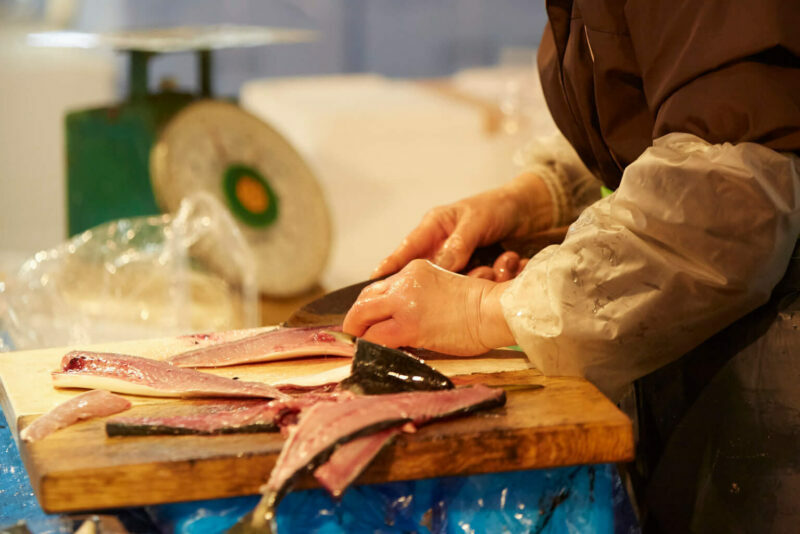 Visit some of the most famous markets and food factories in Japan, see and taste the some of the safest and most delicious food in the world! Aritificial intelligence, computer science and programming, and robotic science and technology. These go beyond just being buzzwords in Japan. They are the future this country is heading towards. Japan is dedicating its resources to the development and innovation of these cutting-edge technologies and to high-tech revolutions, because the country sees science and technology as the key to its future. Japan is a country with vibrant and innovative manufacturing industry, providing the world with all kinds of high quality products. From vehicles, home appliances, to musical instruments, the words "made in Japan" ensure quality. Visit these places to see the industrial prowess of Japan. Founded in 1937, Toyota is now the world’s largest automobile manufacturer, producing more than 10 million vehicles annually since 2012. Toyota Automobile Museum in Nagakute City. 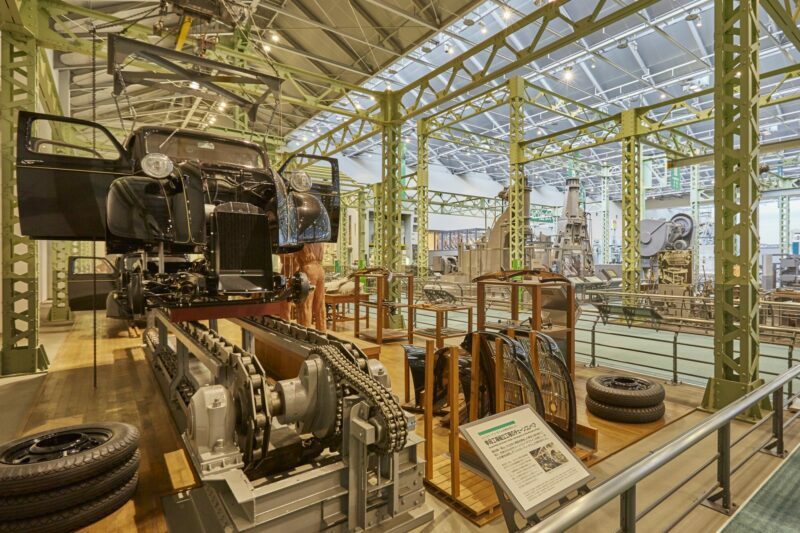 From examples of some of the earliest automobiles which were built in the late 19th century Europe, through to the environmentally friendly hydroelectric-powered cars with futuristic designs, in Toyota Automobile Museum, you may see the past, present and the promising future of automobile. 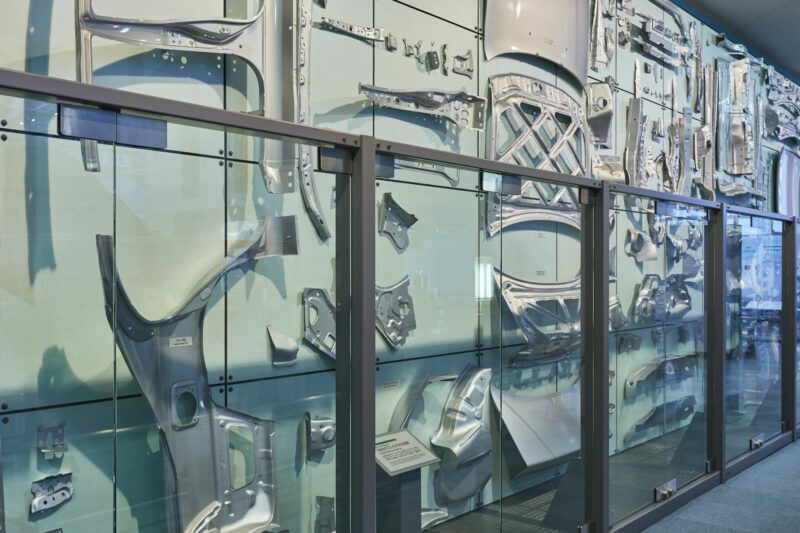 The museum prides itself on its impressive collection of cars, showcasing not only historically significant Toyota models, but also other manufacturer's vehicles that were important in the history of automobile development. Visitors will certainly marvel at the number of cars on display, and appreciate the high-quality designs of the Toyota cars. 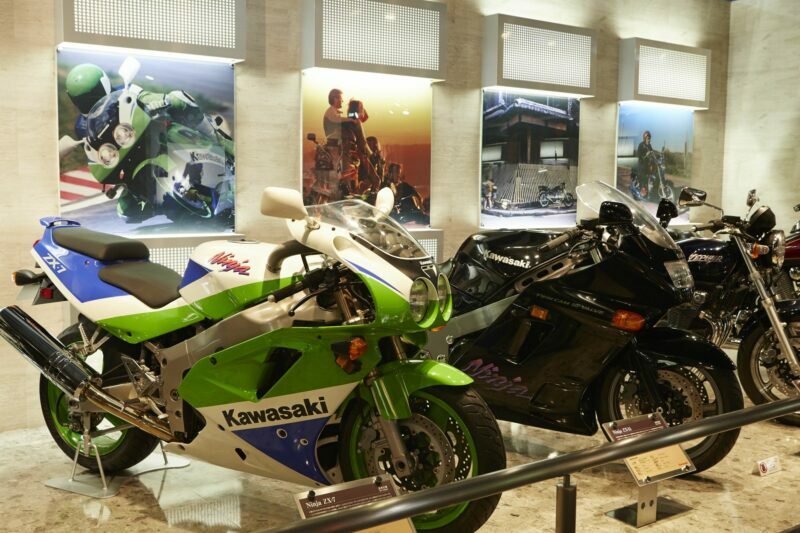 Kawasaki Good Times World in Kobe city is the corporate museum of the Kawasaki Industry Group, which manufactures ship, train vehicle, airplane, and motorcycle etc. You can learn history and experience technology from their high skill and craftsmanship. Monozukuri, a term that in Japanese literally means “making of things,” actually bears much more meaning than just this. It also points to or connotes technological prowess, know-how, a sincere attitude towards production, and the pursuit of innovation and perfection. It is widely believed in Japan that it is the monozukuri spirit that has led the nation to a dominant position in the world. Surrounded by rivers which act as laneways for the city’s ferry system, Taisho ward has been a core manufacturing hub since 1932. In Taisho ward, there is a variety of different companies, factories and workshops including metal processing, logistics and warehousing firms, as well as paper bag factories and dessert workshops. Visit these factories and workshops to get a first-hand experience of the monozukuri spirit that is the heart of the Japanese manufacturing industry. YAMAHA Co. is the largest piano manufacturing company in the world. Established in 1887, YAMAHA Co. is most famous for the musical instruments it makes but it also provides a wide range of other products and services. For music lovers and students learning music in Japan, YAMAHA instruments are with them for every note they play. YAMAHA Kakegawa Factory is in Kakegawa City, Shizuoka. On piano factory tour led by staff, vistors can see the finest of piano making craftsmanship that has been passed down for generations since 1900. You can see pianos in the making, and the awe-inspiring intricate work behind each of them. You may even have a go at playing some of these pianos at the end of the tour! Once a predominently agricultural society, Japanese people still unquestionably value food and their food culture highly. 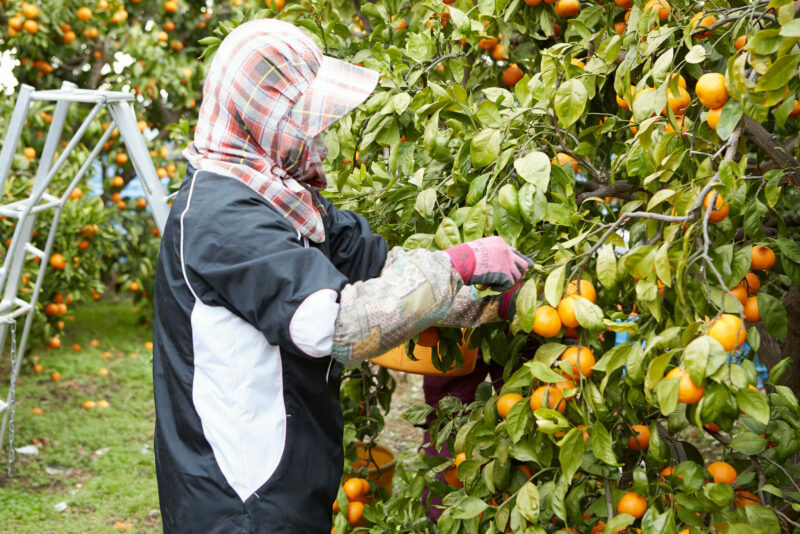 Food safety and food quality are extremely important for farmers, food makers and other food related industries in Japan. To ensure food safety, the food industry has comprehensive systems and protocols that are rigidly followed. See how these are implimented in various food factories and food markets in Japan. 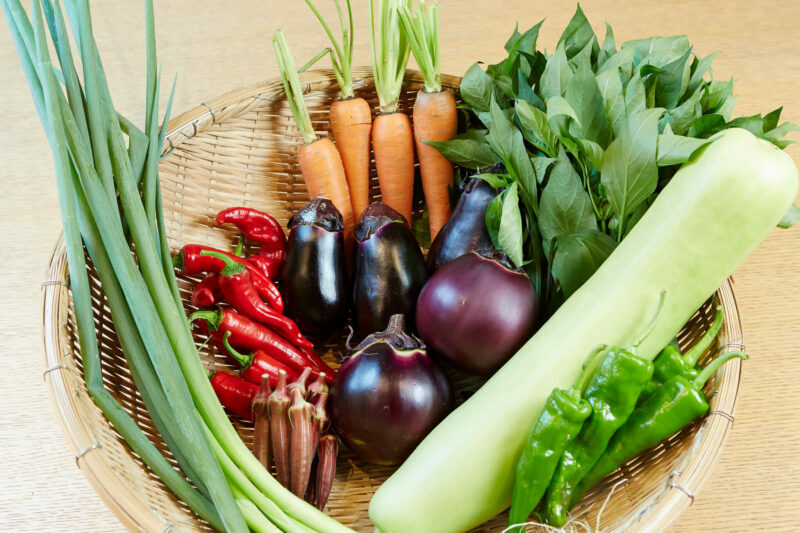 We recommend a visit to the Toyosu Market for a tasty trip! Visit Toyosu Market and see the seafood and agricultural goods auctions in real life! Previously known as Tsukiji Fish Market, the Toyosu Market is the world’s largest wholesale and seafood market. On the viewing decks, tourists can observe the processes of auctions, warehousing and management of fruits, vegetables and seafood. The historic Tsukiji Fish Market was relocated to its current location, renamed Toyosu Market and opened in 2018. The market now consists of two buildings, one for seafood and one for fruits and vegetables. Tourists can observe the market from a viewing deck on the second floor. Plenty of famous restaurants also offer fresh, delicious sushi and other Japanese cuisine here in the market. 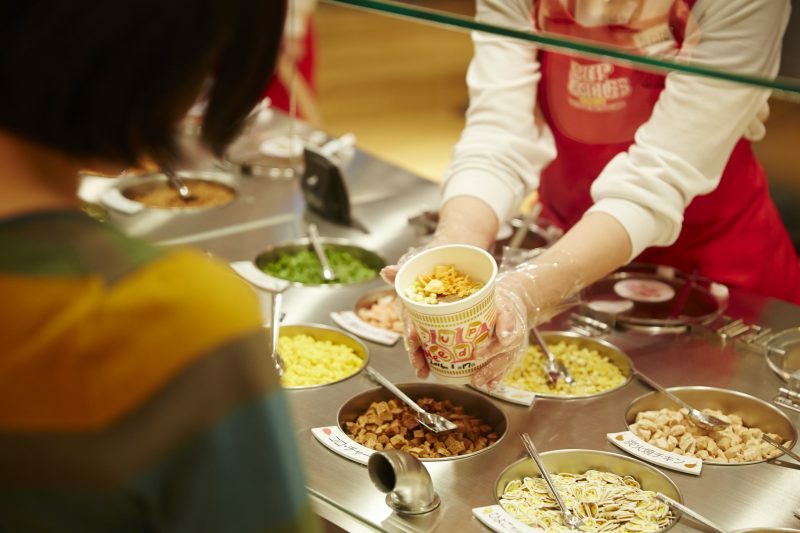 Make your own cup noodles here at the Cup Noodles Museum! In addition to learning more about the history of cup noodles, visitors can also make a cup of their own unique noodles at the small factory within the museum. You can pick your own favorite flavors and toppings, while witnessing and experiencing firsthand the stringent food safety protocols at Nissin. The Cup Noodles Museum was built in memory of Momofuku Ando, the founder of the Nissin Food Products and the inventor of the world’s first instant noodles. The museum has interactive exhibits that spark creativity and curiosity, while providing a fun and educational experience. Here you can see all kinds of ramen noodles of different flavors. Can you find your favorite flavor among them? directions_walkSee how the chips are made! Calbee Inc. is a major Japanese snack company founded in 1949. The secret behind Calbee’s delicious potato chips, shrimp crackers and pea crisps is in the company’s innovative research and development and its excellent quality control. Sign up for Calbee factory tour to see the magical process of making these delicious chips! There are Calbee factories all around Japan, and some of them provide guided tours for visitors to see the secrets behind the tasty potato chips. Calbee also follows stringent protocols to ensure food safety, providing safe and tasty snacks for everyone. An Outlook Toward the Future! Innovation and the development of the most advanced technology can be seen here in Japan! Science and technologies like artificial intelligence, robotics, computer science and programming are the focus of research in institutes. In these reseach centers, students can learn about the coolest scientific developments that allow humans to explore space, to examine the bottom of the sea, to talk to humanoid robots and to imagine a better future! The National Museum of Emerging Science and Innovaction, there are many different robots, including a lovable robot dog, robots that can interact with people and Asimo, the humanoid robot that can kick a soccer ball. Several robot demonstrations are held every day. These amazing robots show visitors the current state of development in robotic technology and how robots might be used in the future. The National Museum of Emerging Science and Innovaction, or Future Museum “Miraikan,” is a museum that features exhibitions about space exploration, advanced computer science and robotic technology. This family-friendly museum invites visitors to explore and ponder where we are and what we are as human beings on earth, as well as where we are heading in the future. 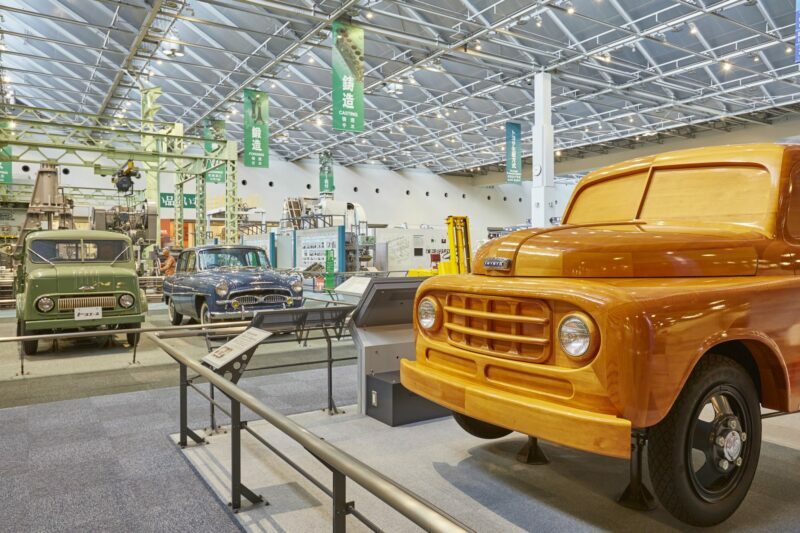 The Mitsubishi Minatomirai Industrial Museum is divided into four major zones of different themes—land, sea, sky and space—the museum displays interactive exhibits in each zone. There are simulations of aircraft and submarines if you wish to know what it is like to be a pilot or a submariner! 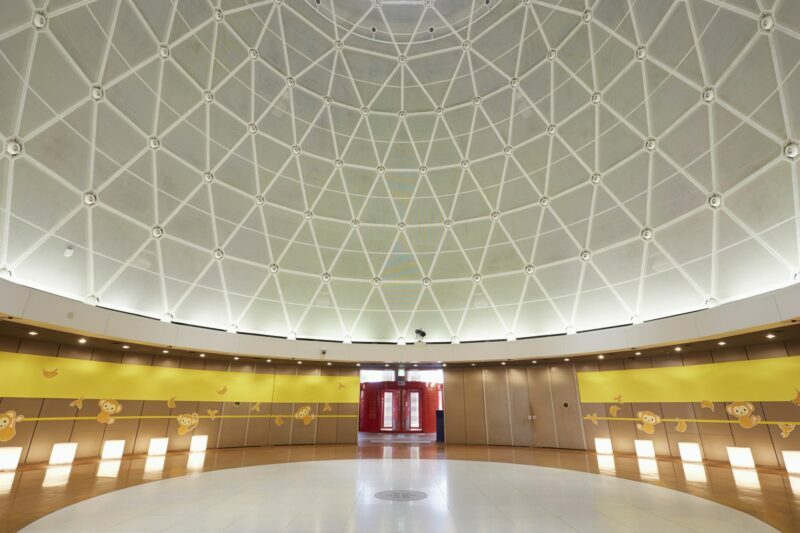 Established by Mitsubishi Heavy Industries Ltd. in 1994, the Mitsubishi Minatomirai Industrial Museum is designed to give children and youngsters opportunities to explore and experience science and technology. The museum is full of astonishing cutting-edge technology such as a rocket engine, nuclear reactor model, and aircraft and submarine simulations. In 2020, computer programming will become a compulsory subject in Japanese elementary schools. TEPIA provides hands-on computer experience for elementary to senior high school students. They can learn how to give commands to a variety of different robots and even try their hand at building their own robots! TEPIA is a place where the future happens now! 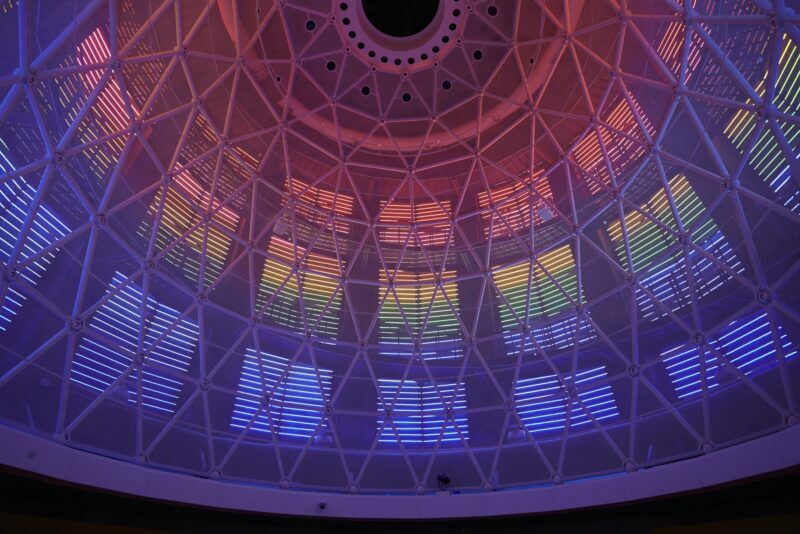 A family-friendly and experience-focused museum, it features many engaging interactive exhibits for visitors to experience the future. Science and technologies that will help people in adapting to the future world such as artificial intelligence, robotic arms and vital sensors are popular exhibits here. Another main feature of the TEPIA is its programming lessons. TEPIA provides opportunities with all sorts of robots for students, from elementary to high school age, to learn about programming. directions_walk See how the chips are made!